Applies linear volume control to the 2 input signals. Linear dual VCA. 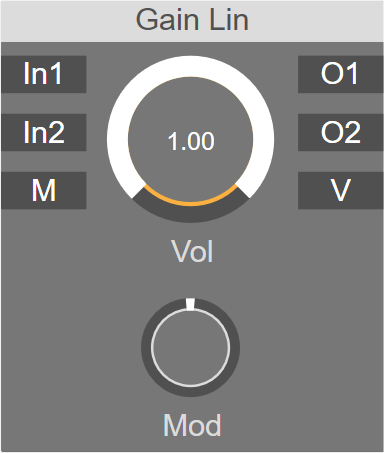 The input gets multiplied by the 'Vol' knob's value. The volume can be modulated. Can be used as a stereo gain.